We are officially approved as a National Health Service Corps Loan Repayment Agency! 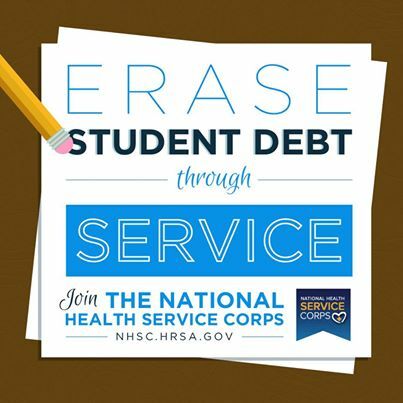 The CSB of Middle Georgia has been approved as a loan repayment agency with the National Health Service Corps. Licensed psychiatrists, psychologists, nurse practitioners, professional counselors, marriage and family therapists, and clinical social workers with outstanding student loans are eligible to apply for partial student loan repayment in exchange for a service commitment with the agency. Go to http://nhsc.hrsa.gov/loanrepayment/ for more information. The application cycle for this program generally is open from January through March. As a student accepted or enrolled in a diploma, associate, baccalaureate, or graduate degree nursing program, you can receive funding for tuition, fees, and other educational costs. In exchange you must work at an eligible facility with a critical shortage of nurses-a Critical Shortage Facility (CSF)-upon graduation.